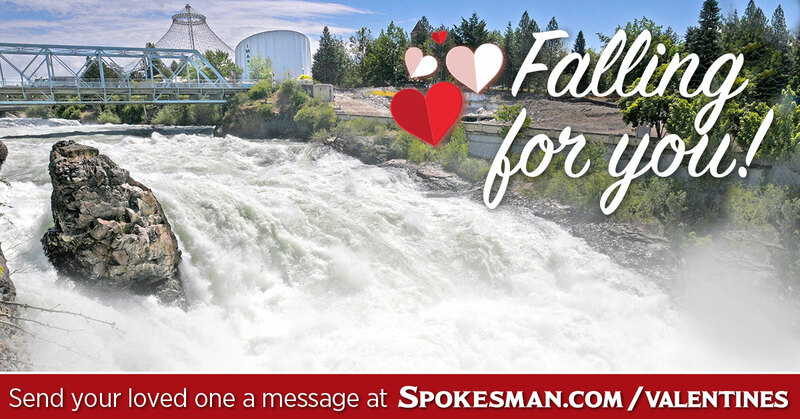 The Spokesman-Review is celebrating Spokane's love stories. We are telling the stories of local couples who show what real love looks like - how they met, how they keep their love strong and even put together a little biography on their lives. There will also be a full page of love notes from our readers published on Feb. 14, as well. Please submit your love story below or nominate a local couple you think we should highlight! You can also send a free love note to that special someone with our Virtual Valentine's app.